Austrian Music Export, the export initiative jointly founded by mica – music austria and the Austrian Music Fund has had another successful year. Numerous local artists were able to take their first steps abroad and the international visibility of Austrian music was increased thanks to the support of Austrian organisations such as AKM/GFÖM, FAMA/WKO, go international – an initiative of the WKO and the BMWFW as well as IFPI/LSG, AUME/SKE Fonds, BMEIA, BKA, the Cultural Department of the City of Vienna and international partners. This year the Austrian musicians Christoph Pepe Auer, Elektro Guzzi, Farewell Dear Ghost, Gasmac Gilmore, Mario Rom’s Interzone, Mother’s Cake and Manu Delago were supported with a travel allowance of 5,000 Euro for international tours as part of the third edition of the Focus Acts program. The long-standing showcase funding program once again enabled numerous festival appearances from Germany to Macedonia, the USA and Canada to South Korea. As part of the promotion of young talent by the Austrian Foreign Ministry, The New Austrian Sound of Music (NASOM), 25 musicians, ensembles and bands from five genres were nominated for the years 2018/2019, including Koenig, Nimikry, Kusimanten, Woody Black 4 and Vivid Consort. In the next two years, the nominees will be increasingly supported by Austrian cultural forums and embassies in their appearances abroad. The 31st edition of Eurosonic Noorderslag Festival took place from 11 to 14 January 2017 with acclaimed performances by Austrian artists. The most important and largest showcase festival in Europe invited six local artists to Groningen to present themselves to festival organisers, bookers, promoters and label operators from across Europe. Farewell Dear Ghost, Inner Tongue, Mother’s Cake, Salute and Wandl played in front of a full house and captivated the large audience. The young local artist Filous was also awarded the prestigious European Border Breakers Awards (EBBA). Due to their performances at Eurosonic, all Austrian acts, supported by the European Talent Exchange Program (ETEP), have been booked by international festivals, including Sziget, Loolapalooza Berlin and Europavox. At the beginning of February, a regional focus on the countries of the former Yugoslavia began at the MENT Festival in Ljubljana with a reception of Austrian Music Export and the three local acts Mieux, Stergin and White Miles. The focus was continued in summer in Croatia at Indirekt Festival in Umag with Cari Cari, Mile Me Deaf and Molly, and in October at Indirekt Festival Belgrade (At Pavillon, Cari Cari Cari, Gospel Dating Service) in Serbia. At Pavillon was also able to entertain a large audience at the Pin Music Conference in Skopje/Macedonia in December. In the field of jazz there were numerous collaborations with festivals in Slovenia (Cerkno Jazzfestival), Bosnia & Herzegovina (Jazzfestival Sarajevo) and Macedonia (Jazzfestival Skopje). The regional focus will be completed at the beginning of 2018 at MENT Festival Ljubljana. 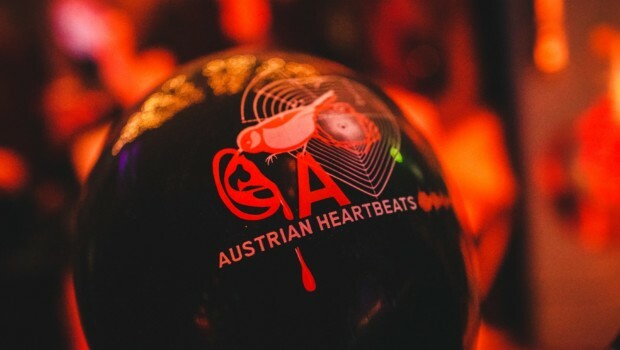 The Great Escape Festival in Brighton was once again the venue for a showcase and reception hosted by Austrian Music Export, where Hearts Hearts, James Hersey, Molly and Steaming Satellites enthralled the guests. In addition, the UK bass export Salute performed and Matt Boroff played at the Alternative Escape Festival. The electro-pop duo Leyya performed for a global audience of music fans and professionals at the renowned Primavera Festival in Barcelona this year and then traveled to New York for a performance at the Indie Week of the American Association of Independent Music (A2IM). From 20 to 23 September, the Reeperbahn Festival brought music fans and business people from all over the world back to Hamburg. Austrian Music Export hosted an event at the legendary Club Indra on the opening night. More than 300 international delegates came together to meet over 60 Austrian companies at a networking reception and to see Ankathie Koi, Ant Antic, Farewell Dear Ghost and Wandl perform live. In addition to the bands, Austria was also prominently represented in other art forms: In “Lessons Of Pop” by the Austrian director Hannes Rossacher, Iggy Pop presented his view of pop culture in the past and present in ten lessons. The Flatstock Europe Poster Convention showed works by the Austrian screen printing and illustration artist “Zellerluoid”. In addition, a reading by Tex Rubinowitz and the film “Chuzpe” about Vienna’s punk avant-garde of the 1970s were also part of this year’s festival programme. On September 29, the seventh Waves Vienna Music Festival and Conference took place in the WUK Vienna: This year’s host countries Italy and the Czech Republic were represented with country presentations and numerous panelists. The official launch of the Music Manager Forum Austria (MMF Austria) took place following a panel on music management. Important issues about the digitalized music world, such as “Influencer Marketing” and “Corporate Design” as well as continued focus on “Women in the Music Business” offered around 800 delegates an exciting programme. In addition, the Export Award XA was awarded for the first time this year. Out of a selection of 10 bands an international jury of experts selected the Austrian duo Cari Cari to receive increased support from Austrian Music Export, Radio FM4 and Waves Vienna. At the end of the year, Austrian Music Export continued its series of Austrian network and showcase events in this year’s focus countries Italy and the Czech Republic. The Nouvelle Prague and Linecheck Milano festivals each focused on Austrian music, which attracted a great deal of attention. Country presentations, speed meetings and well-attended networking meetings alternated with shows by Ant Antic, Cari Cari, Monophobe, Dj Functionist and Wandl. In 2017, 10 European festival organisers from Norway, Germany, Finland, Slovenia, Bosnia, Romania and Italy were once again invited to the Jazz Festival Saalfelden. 9 ensembles were presented live: Gerald Preinfalk Ensemble, 5K HD, Wolfgang Puschnig – Songs with Strings, Weiße Wände, David Helbock Quartet, Manu Mayr, Global Groove Lab, Vienna World Music Orchestra, Sharp 5, Martin Spengler & die foischn Wiener, (:klak:), Woody Black 4, 5/8erl in Ehr´n, Yasmo & Die Klangkantine and Cafe Drechsler. In December, Porgy&Bess, one of the most renowned jazz clubs in Europe, hosted the Kick Jazz Festival for the second time. Six young bands presented themselves this year: HI5, First Gig Never Happened, LuzidChaos, Atanas Dinovski & Paul Schuberth, Woody Black 4 and Verena Zeiner & Klio. 14 European promoters, festivals and clubs from Germany, the Netherlands, Finland, Sweden and Switzerland were invited to Vienna to experience these bands live. In the field of Contemporary Music, Austrian Music Export presented the work of Austrian musicians and their economic environment at the Donaueschinger Musiktage, Wittener Tage für neue Kammermusik and the Huddersfield Contemporary Music Festival. In June 2017 a new platform for Austrian Ensembles for Contemporary Music was founded. 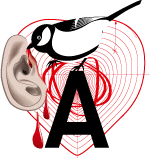 The aim of this collaboration between ensembles and interest groups such as mica – music austria, the Austrian Composers’ Association (ÖKB) and AKM is to improve conditions for musicians. The ensembles are of particular importance for musical export, as they perform the works of Austrian and Austrian based composers outside of Austria.